Two Hollywood movies came out this year depicting God’s mighty hand. I haven’t seen either one, but I know the storylines. The first was Noah. We know how God showed his mighty hand in that era of history. The second is Exodus: Gods and Kings. It’s not Charleton Heston, but Christian Bale. We know how this turned out too. 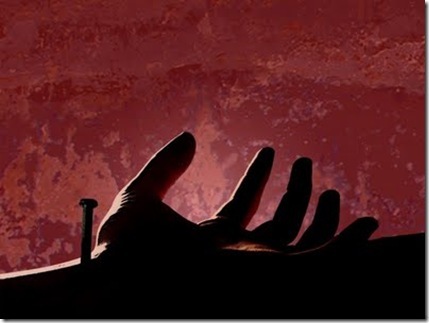 The intriguing thing about “God’s mighty hand” is that in both episodes of redemptive history, God’s hand has two sides to it: one in judgment; the other in salvation. The phrase itself appears seventeen times: sixteen in the Old Testament but only once in the New Testament. Peter used the phrase in his first letter to the exiles (i.e., Christians) to exhort his audience to fulfill their high calling in Christ even under the pressures of suffering and persecution. “Humble yourselves, therefore, under the mighty hand of God so that at the proper time he may exalt you, casting all your anxieties on him, because he cares for you” (5:6, 7). Yes, God’s mighty hand was at work pouring down rain for forty days and sending water up from the great depths. But God’s mighty hand was strengthening Noah to build that massive ark of safety. Yes, God’s mighty hand brought ten plagues on Egypt, defeated her ten most powerful gods and drowned the Egyptian army in the Red Sea. But God took the children of Israel by their hand and by his mighty hand led them from slavery into freedom and a new relationship with the God. That’s the amazing thing about God’s mighty hand for the humble – we get his face, too. God’s mighty hand reveals many things about God. First, his uniqueness; there is no other god like him (Deut 4:34). Second, his hand only begins to show his greatness implying there is more of himself to reveal and do (Deut 3:24). Third, his mighty hand is the subject matter of spiritual instruction in the home (Deut 6:21). Fourth, it reveals his mercy, pure and simple (Deut 7:8). Fifth, it is a means of comfort in times of fear of the future (Deut 7:19). Sixth, it is motivation for love and obedience (Deut 11:2). Seventh, it is the basis of tithing and generosity (Deut 26:1-11). Eighth, it will affect non-believers who hear about it to seek God’s help furthering God’s reputation in the world (1 Kgs 8:42; 2 Chron 6:32). Ninth, God’s mighty hand shapes his people into his image. God delivers, gathers and judges his people to remove idolatry from their hearts, and afterwards he renews them in a deeper relationship with God. Tenth, God’s mighty hand is a reason to worship God (Deut 5:15). This is the only mention of God’s mighty hand in the Ten Commandments.